Leading entertainers across television, film, sports, comedy and music will join in on the fun at the BET Awards ceremony and our very own Trevor Noah will get to present one of the awards. Noah joins a list of presenters at the 2017 “BET Awards” which includes including Yara Shahidi, Cardi B, Issa Rae, Jamie Foxx, La La Anthony, the cast of Universal Pictures’ “Girls Trip” (Regina Hall, Tiffany Haddish, with Jada Pinkett Smith and Queen Latifah), Robin Thede, Cari Champion and Demetrius Shipp Jr.
South Africa will be greatly represented this year. Singer and humanitarian Yvonne Chaka Chaka will be awarded with International Global Good Star and Power Awards. AKA, Nasty C and Babes Wodumo including other top African acts Wizkid, Tekno, Mr Eazi, Davido and Stonebwoy will all vie for the Best International Act: Africa category. My current favorite songstress, “Amazulu” crooner Amanda Black has been nominated for Viewer’s Choice Award “Best International Act”. So proud of her! The rich performance line-up certainly lives up to the prestigious nature of the annual ceremony and Africa is undoubtedly well represented with 12 African personalities being honoured across three different categories. 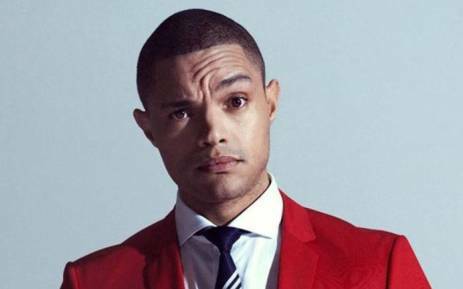 It is also exciting that Africa’s own Trevor Noah, an acclaimed international star, will be presenting an award. Chris Brown, Lil Wayne, DJ Khaled, Big Sean, Post Malone, Bruno Mars, Future, Migos, Trey Songz and Tamar Braxton will perform, as well as Lifetime Achievement Award recipients New Edition. The 2017 “BET Awards” will air across Africa on BET (DStv channel 129) on Tuesday 27 June at 20:00 CAT.